Springwise.com, "One of the World's Leading Sources of New Business Ideas Powered by a Network of 8,000+ Spotters" released late last year, their idea picks from around the world to watch that will promote opportunities and inspiration in 10 different industries. The article has been a top 5 favorite read on the Springwise.com site for some time and currently is #1. Although I have featured the Food & Beverage Industry picks here, do take a look at their picks in other industries as there are also some amazing and interesting concepts to discover; some food oriented as well. Under "Retail" for example is one of my favorites. Idea #6; Foodzie.com is an Etsy (hand crafted items marketplace) geared to those who produce and buy Artisinal Food. Here is the the Top 10 Food & Beverage Industry list with the actual links to all the ideas shown here. Are there any inspiring ideas here where you can incorporate some element into your menus or presentations at your venues? Whether yes or no, I am sure you will find some interest to you professionally or even to enjoy for yourself. Bookmark or subscribe to Springwise.com to get the latest updates on more great ideas and trends in the food & beverage and other industries being "spotted" around the country and globe. 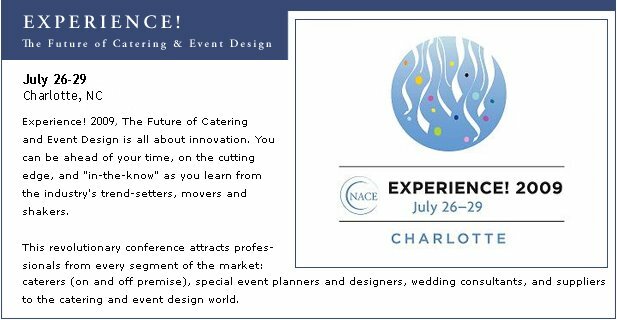 Take advantage of this and the other resources in our links section to stay in tune, in touch and at the Cutting Edge" as the best Catering professionals in Las Vegas! Let us know what you think of these ideas and this story by commenting on this post.